After a hard day Photoshopping there is nothing like a little Photoshop Tonic; chilled, of course! 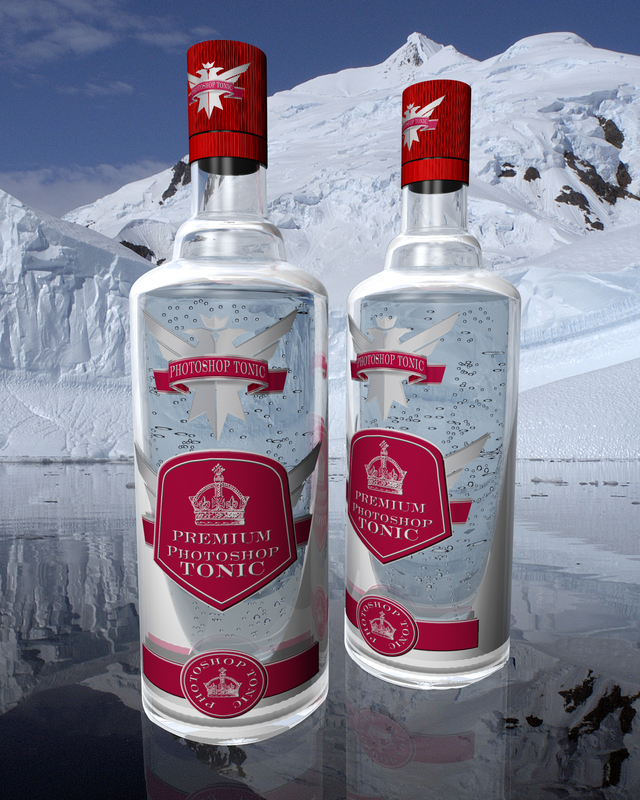 The bottles were created in Cinema 4D and composited into the icy scene in Photoshop where the bubbles were also added. The labels were created in Photoshop and added in Cinema.